Todays supersports, sports and street bikes have often fairly high seat heights especially vertically challenged riders and the increasing amount of female riders will often find the modern sports bikes to high for their liking. A to high seat height reduces the riders confidence and for everyone that have to balance the bike in traffic lights while tip-toeing knows that the situation is far from fun. Leaning the bike over a certain degree and the motorcycle feels even heavier to keep up and there is an clear possiblity to fall over. The shorter the rider the worse the situation becomes. Therefore Lust Racing manufactures lowering kits for most motorcycles from street and racing bikes to enduro and "MX" motocross bikes. Motorcycle manufacturers make bikes with the average lenght rider in mind - whatever that may be. Lowering the bike with a lowering kit is therefore often desirable. For some our lowering kits also allow them to buy the motorcycle they always wanted. Lust Racing ltd manufactures lowering kits for popular motorcycles and we expand our product line continuosly to make the riding experience more pleasant for many motorcyclists no matter are they young or old, new and unexperienced or seasoned bikers. When a bikes rear suspension is lowered the trail is increasing which makes the bike more stable at higher speeds, the bike turns in to bends a bit slower. By lowering the front forks the handling characteristics can be kept very close to a non lowered bike. On most motorcycles lowering the front forks is possible without any new or additional parts. How to lower the front forks is described in the lowering kit installation instructions. Note that front forks should not be lowered without fitting a rear suspension lowering kit first. If kneedowns is your sort of thing you should keep in mind that a lowered bike has less ground clearance and footpegs or exhaust silvencers will be a bit closer to the ground than before fitting the kit. Under normal riding conditions this is not an issue. The bike will also stand more upright on the sidestand, you may like to shorten the sidestand if you lower your bike with more than 1 inch (25mm). 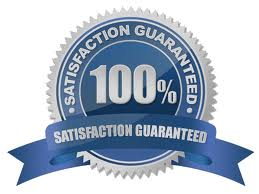 At Lust Racing we are dedicated to product quality and customer satisfaction. In our opinion every aftermarket product should improve the motorcycle in terms of reliability, quality, handling and visual appeal. Our dedication to quality has been recognised, today we supply lowering kits to Suzuki, Kawasaki and Triumph dealerships in UK and Europe and we have exported kits directly to consumers in world-wide to over 100 countries in over all continents Europe, USA, Australia and Asia. If you do not find a lowering kit for your bike drop us a line and tell us the make model and year of your bike and how much lowering you would like to have. Similarly, if you would like any other lowering than the one stated, let us know, we manufacture a so wide range of suspension links and suspension lowering brackets that not all sizes are listed on the site, only the most common ones. Chances are that other bikers would like a lowering kit for the same motorcycle model. Chances are that we already working on a lowering kit for your bike, if not your message can well kick start the development for your specific motorcycle model.